I read with great interest Melanie’s most recent blog post about hypnagogia. In case you need a brief refresher hypnagogia refers to the state between wakefulness and sleep. It is a state where people attempt to grasp creative ideas that percolate up from the subconscious and unconscious. Melanie mentioned she keeps a journal by her bed to capture those early morning creative glimmerings. I also have a journal by my bed. I use it to capture dreams. Is there a hard and fast difference between dreams, creative glimmers, free thoughts? Maybe or maybe not. All can be included as fodder for writing prompts, ideas for painting or collage works, etc. However, reading about this type of free form writing reminds me of Surrealism in both art and writing. Surrealism refers to the avant‐garde movement in art and literature which sought to release the creative potential of the unconscious mind. Often you will see surrealist art that juxtaposes images that you would not otherwise think of going together. Miro’and Dali are some of the more popular surrealist artists. Of course there were women surrealists that never receive as much attention as the male artists. Many people consider Frida Kahlo to have been a surrealist painter. Gertrude Abercrombie was a painter who specialized in working with moons, cats and mysterious women. What’s not to love about pictures of moons, cats and mysterious women? I must admit one of my all time favorite surrealist artists is Rene Magritte. This gentleman painted a lot of pictures of men in bowler hats. Sometimes he painted pictures of men in bowler hats without faces. Other times there are faces of men wearing bowler hats, but the face is hidden behind an apple or a dove. He also painted groups of men in bowler hats wearing black overcoats floating in air. Are they floating up or down? That’s open to interpretation. I have recently become fascinated by the use of bowler hats in art and literature. 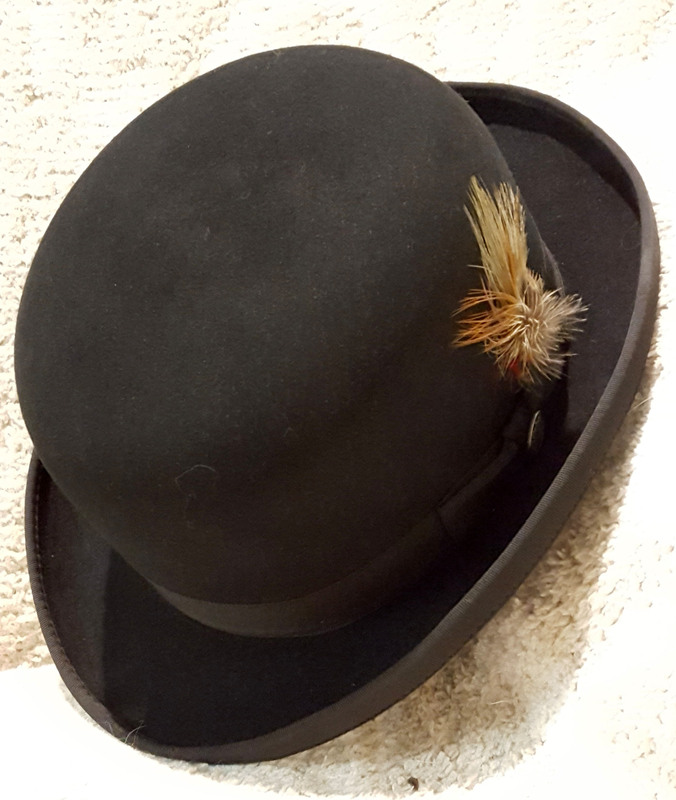 Traditionally a man in a bowler hat is a version of the “every hat” worn by the “every man”. Informal. Practical. 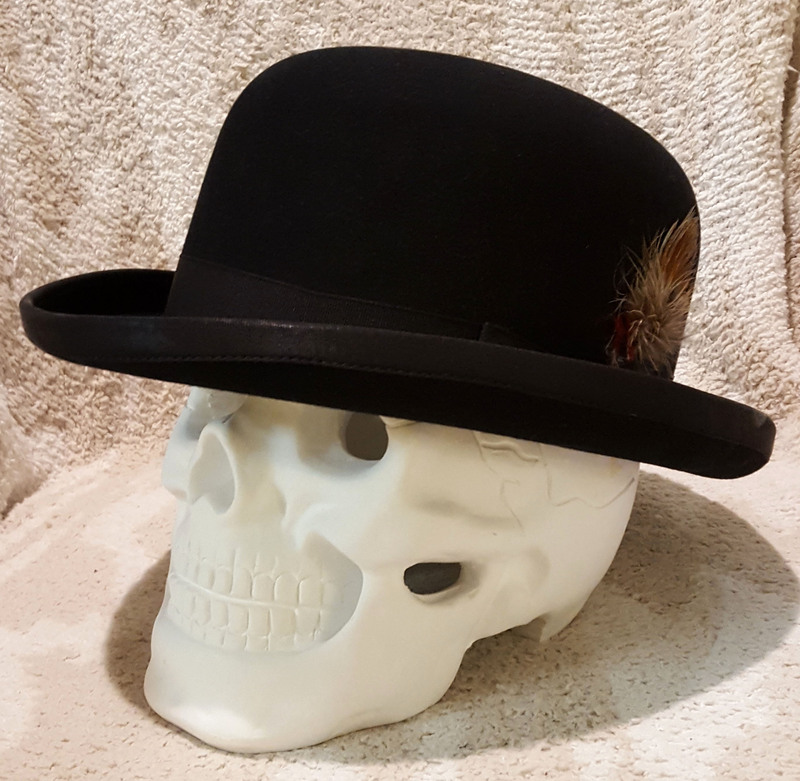 Combine the bowler hat with a skeleton and you have a bit of surrealist photography. What about women who wear bowler hats. Think of Liza Minnelli in the movie Cabaret. What good is sitting alone in your room when you can come hear the music play? 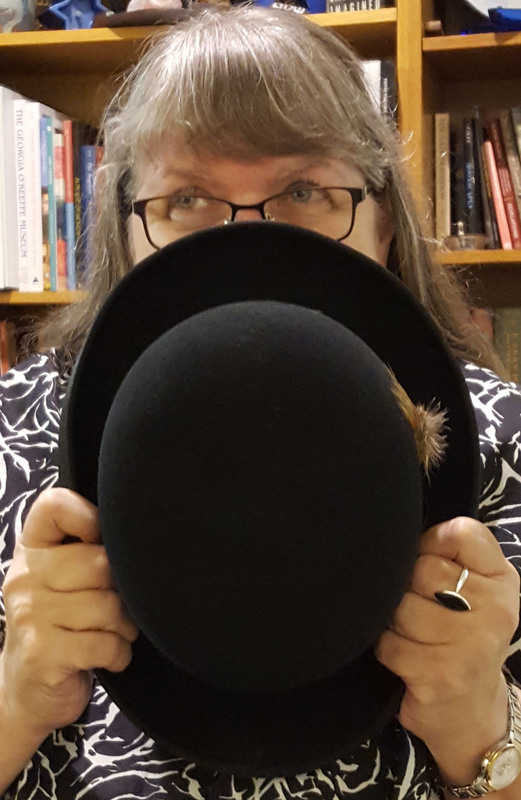 Bowler hats are not traditional headgear for the “every woman”. When a woman wears a bowler hat, is she picking up on a surrealist life style? Looking for meaning in the unconscious? Gleaming insight and inspiration from the area between waking and sleeping? Can you find writing prompts inside a bowler? A male character in a mystery novel who wears a bowler hat is a hidebound traditionalist. Yet, a woman in the same novel wearing a bowler hat is a bit quirky and unusual. Can you find inspiration and creativity just by wearing a bowler hat? Sounds good to me! Next PostNext Call Me Silver‐Haired Devil?